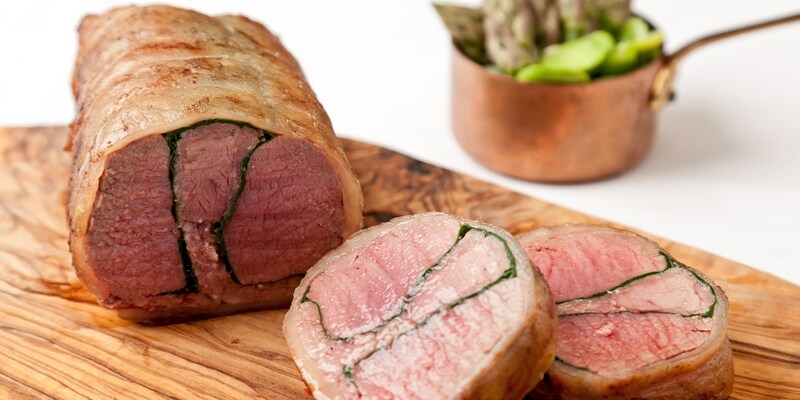 Saddle of lamb is an expensive joint that makes a superb centrepiece to a lavish roast. It is made up of three different cuts - loin, fillet and flank - but is often served up whole. Saddle of lamb recipes in this collection include Bryan Webb's roast lamb with parsley and pine nut stuffing, stuffed saddle of lamb by Adam Gray, and lamb with escabeche of vegetables from Luke Holder. For more information on cooking this wonderful meat, visit our how to cook lamb pages.